This Antique Copper Hurricane Lantern 19" is an authentic marine ship lamp. Antique copper exudes a vintage finish to compliment the hurricane style lantern, hang this on the wall or use this to light any dark or dim areas in your home. 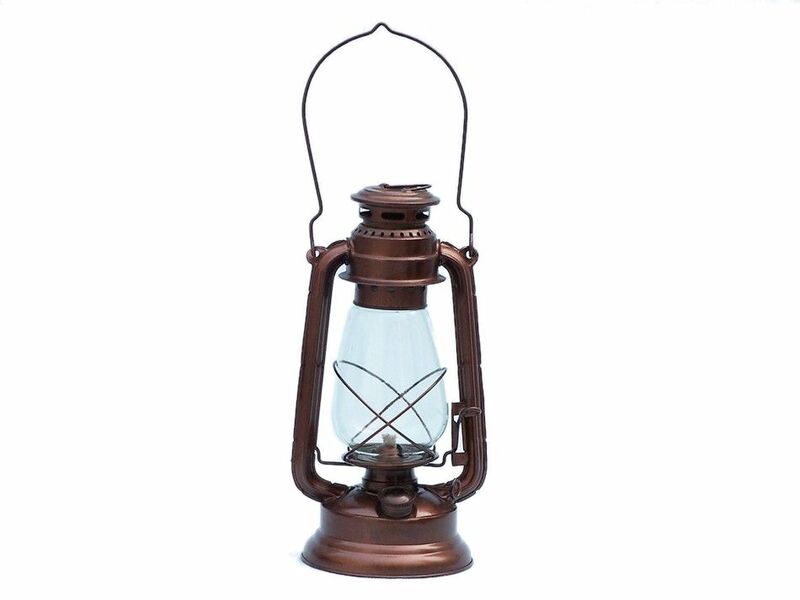 This slender ships lantern is true to the original design of period lamps. Our hanging lantern is functional and simply needs oil to omit light.